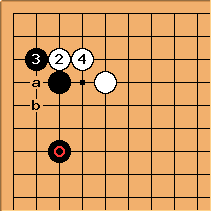 This was really not seen as joseki, until very recent times. Now some variations are being worked out, just over the last couple of years. After , at a has been tried too. 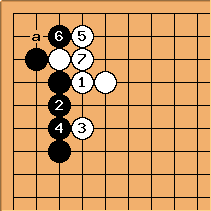 After Black may play tenuki: but at b for strong shape of course natural too. The question will be what use Black can make of the solidly-supported low stone . Another way to play is here, for influence. 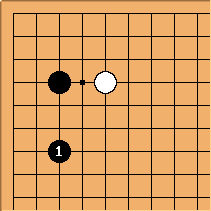 After Black probably connects at a, allowing White to extend on the top side.